After a record September, the Norwegian plug-in market returned to more regular performances, registering 5.813 units (42% share), up 35% YoY, leading to an increase in the YTD tally to over 54.000 registrations, and pulling the 2017 plug-in share to 38%. Will it reach 40% by year end? Interestingly, the overall fuels share in November show BEVs registering 20% share and PHEV 23%, with diesel-powered cars scoring only 21% share, not only below plug-in hybrids, but also behind regular gas cars (24% share), with the remainder (12%) going to regular HEVs. In Third Place we have the unbreakable Mitsubishi Outlander PHEV, that thanks to some nice discounts, revived the SUV career, registering 393 units. Looking at the YTD ranking, the most important news were the return of the Mitsubsihi Outlander PHEV to Third Place, changing places with the sunset-mode Nissan Leaf, while the two Tesla climbed one position each, with the Model X now in #5 and the Model S at #7. In the manufacturers ranking, Volkswagen (23%) is in the leadership, with BMW (16%) in Second, while Tesla (11%) is ahead of Mercedes (10%) in the race for the Third Spot. Footnote: Two additional Hyundai FCEVs and one Mirai were added in November, with the Hyundai SUV leading the 2017 race by 27 to 14, despite being an older model. Sharewise, FCEVs have 0,03% share of the market, the highest in Europe. With 42% PEV share, the general market is being flodded by electrified models, breaking down sales by fuel source, we have three HEVs, two PHEVs, four BEVs and only one ICE model. This month the best seller was the RAV4 Hybrid, with 520 units, with the remaining podium places being occupied by the two Tesla models. Three other plug-ins (Outlander PHEV, VW e-Golf and BMW i3) follow, with the only ICE model (Skoda Octavia) in Seventh. Interestingly, aside from the RAV4 SUV, the other hybrid models from Toyota are suffering, with the best selling being only #9, while the Auris HEV, a longtime presence here, suffered the most and was left out of the Top 10. Is the e-Golf and the new Nissan Leaf already making victims among their unplugged competitors? After September having been the first fully electrified Top 10 month ever, will we see the same happening in December? I wouldn't bet against it. The take-away is that the large PHEVs with short range will get a large jump in taxes mid-year. This will hit Mercedes most, but also Volvo XC90 and BMW X5. * A large increase in sales of these cars in H1 and a sudden drop when the tax hit. * Some manufacturers should start increasing the battery-size of PHEV to extend the incentives. It is gaining traction in Norway the argument that the ICE cars are using loop-holes, rather than actually reducing emissions, and that ALL CO2 reductions from 2011 - 2015 came from BEV! These incentives changes follow this trend, improving the environmental footprint of the PEV fleet as the only viable solution. Norway clearly shows that electrification strategy will surely pay out. In special for manufacturers with a wide range of EVs. Yes, diversification will be key, one EV won't be enough from now on. Hear that, Renault? When will you launch the Twingo ZE? Is there any data on the percentage of cars on Norwegian roads that are electric. By December 2016, according to Wiki, there are 5%. How long until 10%? When will we start to hear stories of petrol/gas stations being shut and range anxiety for ICE cars? According to my calculations, the share of Plug-ins in Norwegian roads must be around 7%. True, it is an important assurance in the 100% BEV build up. Still need to come up with an electric small, medium and large van with a range that is not a joke. The two largest ones should also be made with 8-9 seats, and 13-17 seats (minibus). Now there is no option here. It is all cr*p.
There is also no EV with a normal price that can tow a trailer. In Norway, that is a big fail. The Tesla S and X model is doing well now mainly due to fear that they will get an extra tax. In general EVs are tax free for 3 years - but there are a movement that rather want to give an incentive to a cheaper car like a leaf, then a lot on a Tesla. They think they will see more EVs on the road if that is done, and at the same time - it will benefit the general population, and not just the rich that buys a Tesla. 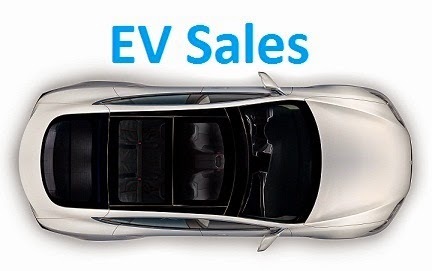 I think the EV sale will take off when more models will be on sale. Like the new Audis, not to mention the cheaper EVs from VW - that is estimated to be the topp seller, together with Nissan.